As a business owner, you need to make money, not lose it. While many people automatically turn to maximizing their products, services, and workforce when it comes to making a profit, they should probably take a look at their monthly operating costs first, especially what it takes to keep their business comfortable. South Florida businesses depend heavily on HVAC systems to prevent being overwhelmed by humidity and heat. If these hardworking systems aren’t maximized for efficiency, they can punch big holes in your budget month after month after month. 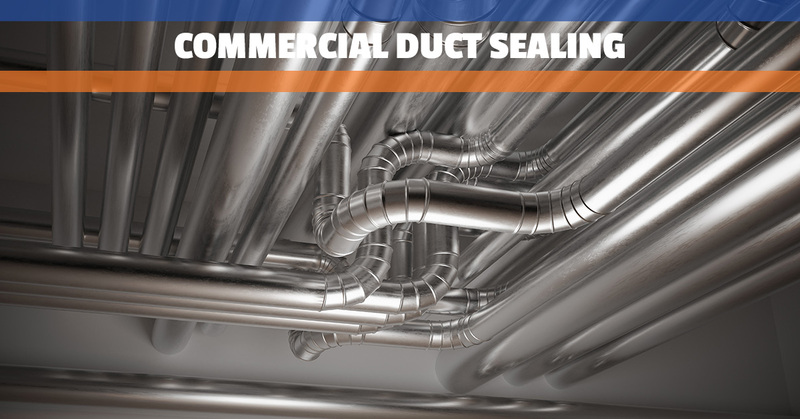 Air ducts transport conditioned air behind your walls and ceilings. They function almost silently, ensuring that the work your air conditioner or furnace does actually counts for something! Optimally, they would be perfectly sealed and able to deliver every bit of conditioned air to the correct destinations. Unfortunately, this is not always the case. Leaky ducts don’t usually give off obvious signs. Instead, your air conditioner or furnace will work harder and harder to complete the same amount of work. Your energy bills will go up because you’re paying to cool/heat the insides of your walls and ceilings as well as the actual rooms of your building. This is no way to function as a business! As a business owner, you have a lot on the line. You cannot afford to waste money on unnecessarily-high energy bills. We are here to keep your business lean, mean, and successful. We see ourselves as more than just world-class duct and HVAC specialists; we are your business allies. We want to cover your six when it comes to breathing easy, staying comfortable, saving money, and growing your passion. When you need a team of professionals you can trust no matter what, it’s time to give us a call. Whether you’re in Palm Beach, Dade, Broward, or beyond, we are here to help!